This lovely pendant is by David Morris. A platinum set rose cut diamond is suspended within an 18ct yellow gold frame that is set with small round yellow diamonds. The platinum setting is stamped "Pl 950" for platinum and the yellow gold frame is stamped "David Morriss 750" on the back. 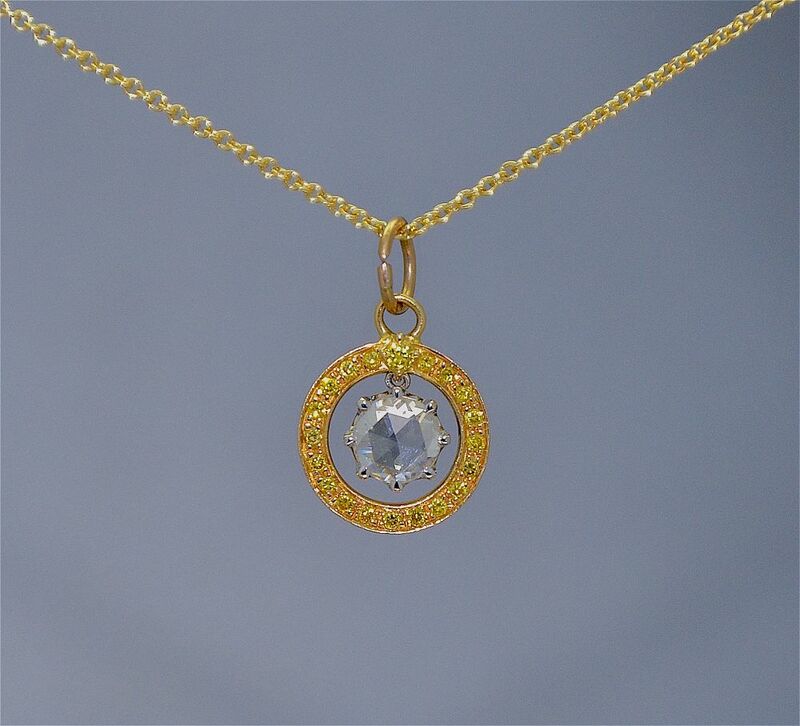 The pendant hangs on a fine 18ct yellow gold trace chain. A good everyday wear.